A video with some of the clients enjoying the unique experience of Corporate Commentary with commentators John Hawksworth and Richard Gordon. 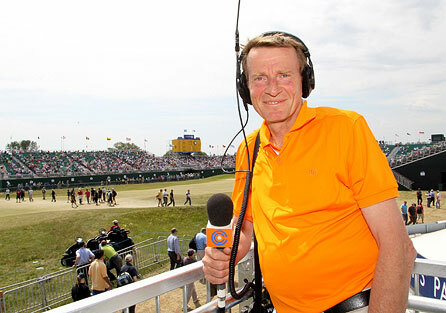 Ready to go out and commentate for the HSBC guests. 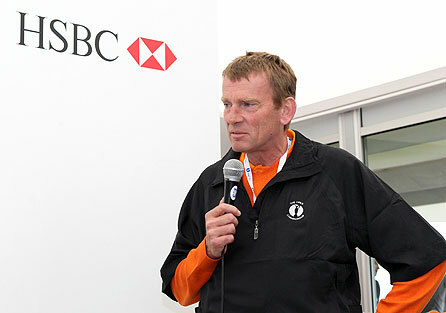 Welcoming the HSBC guests. 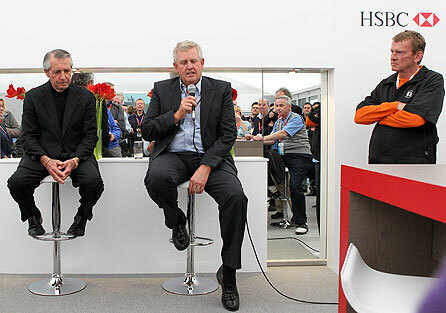 Introducing Gary Player and Colin Montgomerie to the guests. 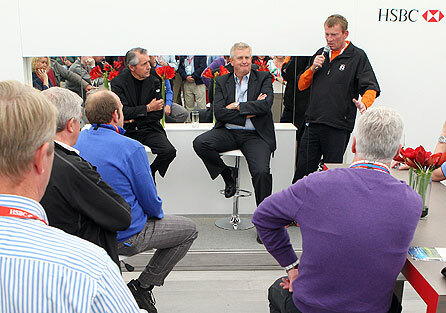 Colin Montgomerie answering one of my questions. 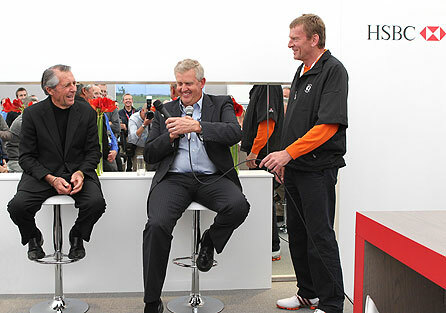 Colin Montgomerie finishing one of his light hearted anecdotes. Rounding off the lunch interval and thanking all concerned. 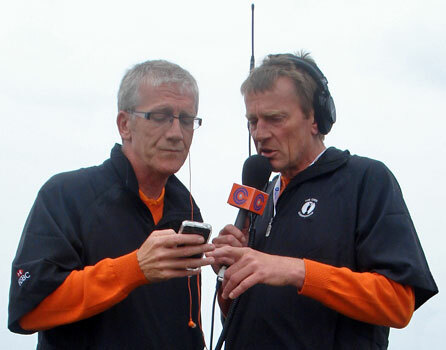 with my co-commentator Richard Gordon. Congratulations to Kirsty King, Senior Credit Manager at Diageo, London on winning the HSBC draw for the TaylorMade bag. 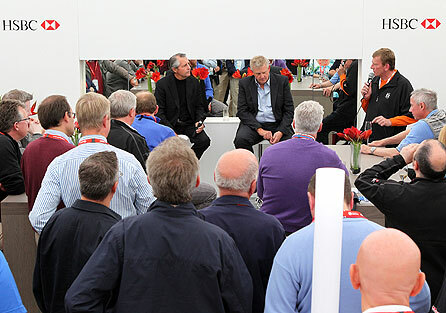 What happens when you bring six TaylorMade Tour Players and six UK Celebrities together for a game of Golf Darts? 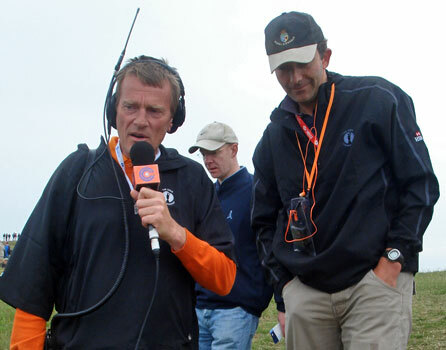 Here are some highlights from the 38th Ryder Cup at Celtic Manor Resort from Friday 1st to Monday 4th October 2010. More golf video and pictures on page two.